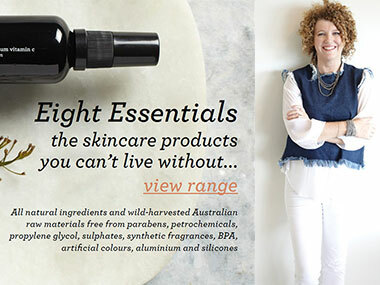 Emily Rohr and her new natural skin care range, Rohr Remedy, created from Australian bush medicines, "...effective, versatile and always luxurious". Every industry has them, those bright sparks of individual determination and courage - women who manage to champion their passion against the toughest of odds. They are pioneers of sorts, like Helen Read who flew to Paris to organise an exhibition with only loose change in her pocket (according to legend). Or Ann Snell, who after rolling up some paintings one day, tucked them under her arm and headed to the US where she put together an Aboriginal art exhibition in Seattle. And then there's Emily Rohr, the founder of the Short Street Gallery in Broome. 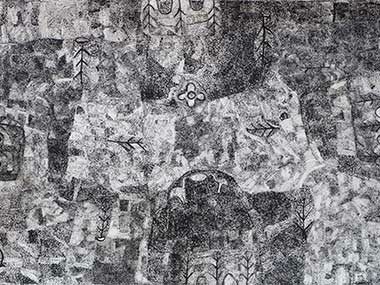 Emily Rohr, who is vocal in her views, is still critical of the policy changes to superannuation and the Aboriginal art industry brought about by the Gillard Government. These were changes which had a devastating effect on the Aboriginal art market in Australia, as investing in art became bound by rules and led to a drop in sales. Changes to government policy shouldn't reduce the value of something so unique in the world, Emily believes, and art is one industry that should be left to the free market. "State-controlled industry undervalues what it's trying to protect - look at what's happened with the Chinese art market. "Almost half the commercial galleries in Australia had to close," says Emily of the fallout. "And artists were working with those galleries, forming partnerships, and being promoted professionally." If there is one positive it is that it prompted her to create a second business and, given her family's long history in pharmacy, that came in the form of a new skin care range called Rohr Remedy, made from Australian bush medicines. Curious about whether she will add some new Aboriginal bush medicine ingredients, the answer is a firm, "No", the price of registering new Australian plants with the TGA for commercial production has increased so much over the past few years that it's now prohibitive, she explains. "Did you know that China is the number one supplier of Eucalyptus in the world - and Australia is seventh?" she asks, incredulous. "And China is also the main supplier of Kakadu Plum!" Emily believes this represents a huge opportunity for regional Australia. Talking more about traditional bush medicine brings her focus back to Aboriginal artists. "We have an enormous amount of talent in Australia - more so now than we've had ever before," she reflects. "The artists are acknowledging contemporary society using traditional painting and recording the stories of time, but they're adding our own generational stories too. It's unique art - really something to invest in." Short Street Gallery will run an exhibition in conjunction with Iwantja Arts starting May 26 2016 which features the works of 12 artists, each painting their country from their own individual perspective. 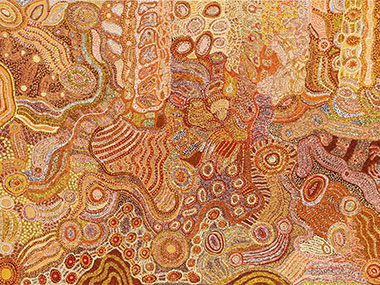 Called Ngura:Country, the artists include Tiger Yaltangki and Alec Baker (both finalists in this year's Telstra Award), Vicki Cullinan (whose work was recently acquired by the Janet Holmes a Court Collection), Peter Mungkuri, Jimmy Pompey and Maringka Burton, and emerging artists Betty Chimney, Sandra Goodwin, Rosanne Bannington, Nellie Coulthard, Rosalind Tjanyari. Short St Gallery has worked with Iwantja Arts to present a number of exhibitions. Last year it curated a Tiger Yaltangki and Jimmy Pompey exhibition showcasing the unique figurative works from the senior men of the area. Short St Gallery is located in the last remaining structure with a wind tunnel on its roof (a way of circulating air before air-conditioning) - a building almost as unique as the art itself.